An office break room is a great amenity for employees to use during working hours. 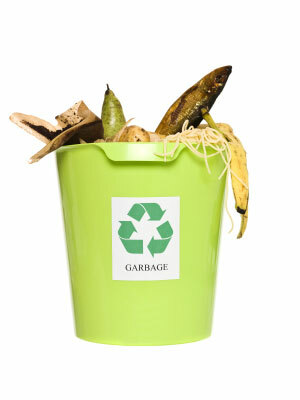 However, it can also be a huge source of excessive waste for your business. You can cut down on break room waste with a little extra effort. The simplest way to reduce waste in a break room is to store food correctly. A high quality refrigerator that is able to maintain the ideal temperatures for freezing or refrigerating food is a necessity. If your refrigerator malfunctions, several pounds of food will quickly go to waste, so it is important to keep the fridge clean and funtionning properly. If your break room is stocked with food and beverages for employees, it's important to keep a detailed inventory list so you don't end up with a surplus of food and beverages that will be wasted. Many food and drink items that are kept in an employee break room have expiration dates before which food must be consumed or else it will spoil. If, for example, you have vending machines with beverages, cold food products, yogurt, dairy products, or other perishable food items, you will need to make sure that these items are consumed before they spoil. If food goes bad before it is used by your employees, you will have considerable waste on your hands. It is also a good idea to stock vending machines with the food and beverages that your employees like. Before you fill a vending machine, ask your employees which snack items they would like to see in your office break room vending machine. This way, you will be investing in snacks and beverages that your employees will consume, and you'll earn money on your initial investment. It is impossible to entirely waste eliminate in an office break room. Your employees will have paper, plastic, glass, and metal waste that must be discarded in order to keep the break room clean and safe. However, you can provide recycling bins that employees can use so that waste does not end up in a landfill. Recycling does require a lot of responsibility, so make sure that your employees are on board with the recycling process. You can purchase several different bins and label them to ensure that employees are putting the right materials in the right recycling container. If you really want to focus your business's efforts on the reduction of waste and over-consumption, you can invest in products that are packaged in recycled materials. Many snack manufacturers and beverage producing companies are bottling and packaging their goods in bags, boxes, cans, and bottles that have been made from recycled materials. This way, your initial investment will be going to a great cause. Reducing break room waste is a great way to save money and protect the environment. Often, the efforts of a business to be more environmentally conscious can separate that particular business from its competitors and help it to establish good rapport with the community.